Wings are the classic "you know they're terrible for you but you love eating them" food. 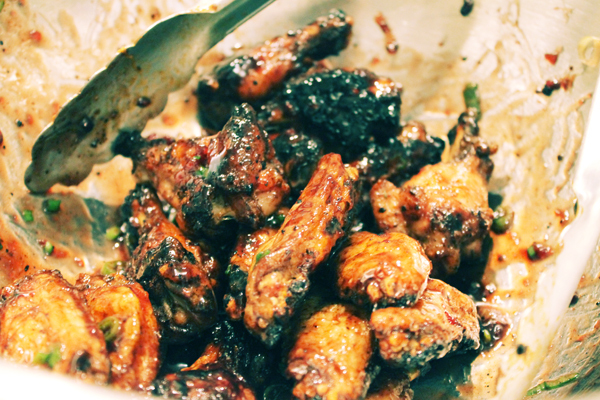 I personally can't turn down wings, especially when watching a football game. Last winter, when my beloved Pats were in the AFC Championship against the Ravens, I made a recipe very similar to this one. This version is much simpler to make and was inspired when I saw this recipe on the "Just a Taste" blog. I didn't mess with the recipe too much, but added a dipping sauce and adjusted the timing of the wings as well. 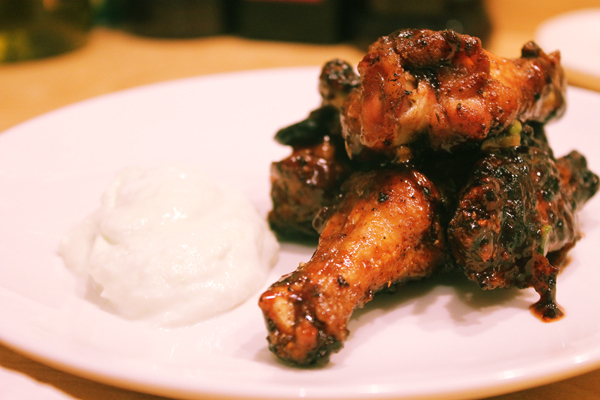 Healthy Gameday: Baked Wings. Yummy and I bet this will be loved and enjoyed by every other person in the family. Can't wait to share my results with you!